Originally scheduled for Fall 2010, the third annual Comox Valley Learning Lunch Seminar Series was postponed until early 2011. The Developers Dialogue was designed as a ‘bridging event’ and was held on December 3, 2010. The story below describes what was accomplished. 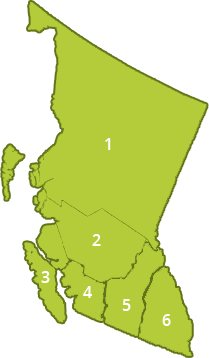 In 2008, the four local governments in the Comox Valley agreed to embark on a journey as a regional team. As a result, the Comox Valley is the provincial pilot for demonstrating the benefits of a ‘regional team approach’ to establish expectations and achieve consistency at the front counter. The Comox Valley Learning Lunch Seminar Series is the vehicle for bringing all the players together and generating momentum for collective action. The goal in collaborating and aligning efforts as a regional team is to strive for settlement change that is balance with ecology. The 2008 and 2009 series were hosted by the City of Courtenay and Comox Valley Regional District, respectively. The Town of Comox is the host for the 2011 Series. “The 2011 Series theme, A Regional Response to Climate Change, defines the desired outcome. This shows how far we have come as a regional team. We are ready to establish performance targets for integrated land and water management,” states Glenn Westendorp, Chair of the 2011 Series. He is Public Works Superintendent with the Town of Comox. CV-OPS is the acronym for Comox Valley Intergovernmental Engineering/Operations Liaison Group. This was an outcome of the 2009 Series. “The City of Courtenay acted on behalf of the CAVI-Comox Valley Regional Team in organizing and hosting an afternoon event that we branded as the Developers Dialogue,” explains Nancy Hofer, Environmental Planner. Kim Stephens, a member of the CAVI Leadership Team and the Executive Director of the Partnership for Water Sustainability in British Columbia, moderated the townhall sharing. “Conversation leads to dialogue. That was a key message at the Developers Dialogue. Our goal was to start the conversation. We got some ideas on the table, we listened and we documented what we heard. The insights and understanding gained from the townhall sharing about developing land sensitively will help the Comox Valley Regional Team navigate a way forward,” states Nancy Hofer. “The townhall sharing session was high energy and the time flew. There were no gaps in the conversation. Someone would make a comment and that would set off a train of conversation. It was therefore really important that Nancy Hofer and her colleague Allan Gornal did such a fine job of documenting the conversation. The record of the Developers Dialogue provides a point of departure for collaborative action,” concluded Kim Stephens. Click on summary of notes to view the record of the 2010 Comox Valley Developers Dialogue. This summarizes objectives, participant expectations and discussion highlights.